Join the STAND WITH PEACE accompaniment delegation or Learn More! One of Colombia’s most targeted labor organizations has asked the United Steelworkers to send union members to accompany voters in the country’s October 2nd peace plebiscite. If the “yes” vote wins this election, it will bring an end to 52 years of civil war. The National Unitary Federation of Agricultural Workers Unions (Fensuagro) believes the presence of international solidarity activists can provide an atmosphere of safety in places where paramilitary organizations are threatening pro-peace voters. Farming communities affiliated with Fensuagro have been specially marked for assaults. The presence of international solidarity activists has proved an effective deterrent against these kinds of threats. Fensuagro addressed a letter to the “United Steelworkers and members of the United States labor movement” requesting accompaniment for its members traveling to polls to vote on peace accords between the Colombian government and the Revolutionary Armed Forces of Colombia-People’s Army (FARC-EP). Colombia’s civil war is the longest running armed conflict in the Americas and has resulted in more than 220,000 persons dead, some 92,000 persons “disappeared”, 6 million internally displaced persons and the largest number of political prisoners in the hemisphere. Fensuagro represents rural populations, including many indigenous and Afro-descendent communities, that have been hardest hit by the war. Colombians are hopeful about achieving the peace but at the same time right wing paramilitaries have stepped up assaults against popular movements in an effort to undermine the peace process. No one is more in their crosshairs than Fensuagro, the Marcha Patriótica movement for peace (which Fensuagro is part of) and other members of the Colombian left. Fensuagro believes that international accompaniment will help make sure that those voting in the October 2nd plebiscite can do so in safety. 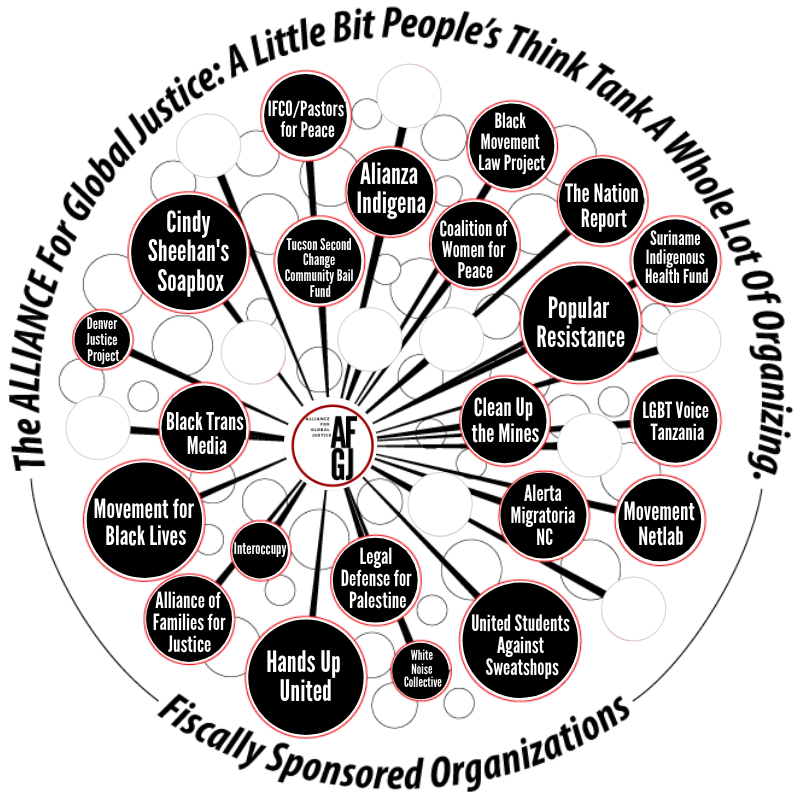 Fensuagro and the Marcha Patriótica have also asked the National Lawyers Guild and the Alliance for Global Justice to send representatives on a “Mission of International Accompaniment and Verification”. The Alliance for Global Justice is working with all the invitees to take a delegation to Colombia from September 29 through October 5, 2016. 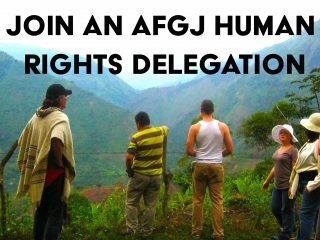 Those interested in going on or supporting this effort can get more information by sending an email to DELEGATIONS@AFGJ.ORG . If the accords do not pass, one can expect the repression of unionists and social movements in Colombia to continue rather than subside. Since Fensuagro’s founding convention in 1976, more than 1,500 of its members have been assassinated. Fensuagro is the largest union in the Marcha Patriótica, a four year old political movement that includes 2,000 member organizations. The Marcha Patriótica has seen 123 of its members murdered by paramilitary death squads and the Colombian Armed Forces. A number of Fensuagro’s top leaders have been incarcerated for their activities. There are currently 125 Fensuagro members in Colombian jails as political prisoners. If the accords pass, the state has committed to freeing all union members and social movement activists who have been accused of “rebellion”, as well as prisoners of war. “Rebellion” is a catch-all charge that has been used extensively to put thousands of nonviolent activists in prison. The extreme right, led by former president and current senator Álvaro Uribe, has mobilized a campaign to defeat the pro-peace vote. While public sentiment in favor of the negotiations has been reaffirmed on several occasions, this time pro-war advocates have had some success in eroding support for the accords. Still, most observers are confident that the accords will pass. Not satisfied with the constraints of legal efforts, extreme right death squads are subjecting Colombia’s peace and justice movement to acts of terror. Since the negotiations began in 2012, there has been a steady increase in the rate of assaults against popular and labor movements. This is why Fensuagro, the Marcha Patriótica and other organizations are asking US unionists and peace activists to come to Colombia for the October 2nd plebiscite. The presence of international accompaniment is a key element of protection for those who want to win this peace at the ballot box. The present communication has as its goal to solicit your organization’s solidarity for a MISSION OF INTERNATIONAL ACCOMPANIMENT AND VERIFICATION IN COLOMBIA in different regions of the country, with visits of accompanyment and to verify the security and Human Rights conditions of the organizations and social movements that will advance the campaign of “YES TO THE PLEBISCITE, YES TO PEACE,” in support of a “Final Accord for the end of conflict and the construction of a stable and lasting peace,” resulting from the Peace talks held in Havana, Cuba between the Colombian Government and the insurgency of the FARC-EP, which shall be subject to a citizen’s referendum on October 2, 2016 through a National Plebiscite. The preparation and realization of the Campaign shall be composed primarily by educational work for peace to discuss the main points of the Final Accord with social movements and demonstrations of the benefits and opportunities that its fulfillment will bring to social and popular sectors in the country, including the need to support and defend the peace process in the polling places. This work involves a risk to the organizations involved in the Campaign given the existing opposition to the peace accords, in particular by the paramilitary structures that have expressed on multiple occasions hateful declarations against those of us that support the peace process. Therefore, we are counting, with a sense of great urgency and importance, on the solidarity and support of international organizations in this historic moment that opens the doors for the construction of peace with social justice, to guarantee the minimum rights of access to land, political participation and reparation of victims, among others. We thank you for your anticipated cooperation and kindly await your prompt response. The children of Colombia look forward to a country free from war as an older generation, bearing memories of injustice and struggle, lifts the youth up towards hope and away from despair.